This month we talk with two of California’s most prolific legislators, Assembly Member Evan Low and Senator Scott Wiener. Both are out gay men and working hard to promote LGBTQ equality in California. 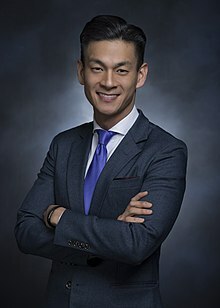 Evan Low was elected to the California State Assembly in November 2014 to represent District 28. At the age of 31, Assemblymember Low became the youngest Asian American legislator to have been elected to the Assembly in state history. The district is located in Silicon Valley and includes Campbell, Cupertino, Los Gatos, Monte Sereno, Saratoga, and the areas of West San Jose, Willow Glen, Cambrian, and Almaden Valley in San Jose. Assemblymember Low chairs the Business and Professions Committee as well as the California Legislative LGBT Caucus. In 2015, together with Assemblymember Ian Calderon (D-Whittier), he launched the first in the state California Legislative Technology & Innovation Caucus. The Caucus comprises of a bi-partisan group of Senators and Assemblymembers who view this as a statewide effort to ensure that California remains the global leader in technology and innovation. 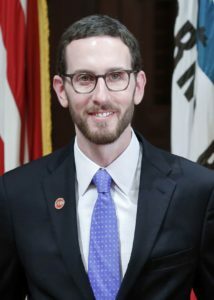 Elected in November 2016, Senator Scott Wiener represents District 11 in the California State Senate. District 11 includes all of San Francisco, Broadmoor, Colma, and Daly City, as well as portions of South San Francisco. In the Senate, Senator Wiener works hard to make housing more affordable by confronting California’s severe housing shortage; to invest in our transportation systems, including improving and expanding our public transportation systems; to increase access to healthcare, including reproductive healthcare; to support working families, including expanding paid family leave, childcare, and quality public education; to support California’s nightlife culture and economy; to meaningfully address climate change and the impacts of drought by expanding clean energy and modernizing our water system; to reform the criminal justice system and reduce gun violence; to reduce California’s alarmingly high poverty rate; and to safeguard and expand the rights of all communities, including immigrants and the LGBT community. Tagged Assembly Member Evan Low, California LGBT Caucus, gay representatives, Senator Scott Wiener. Bookmark the permalink.